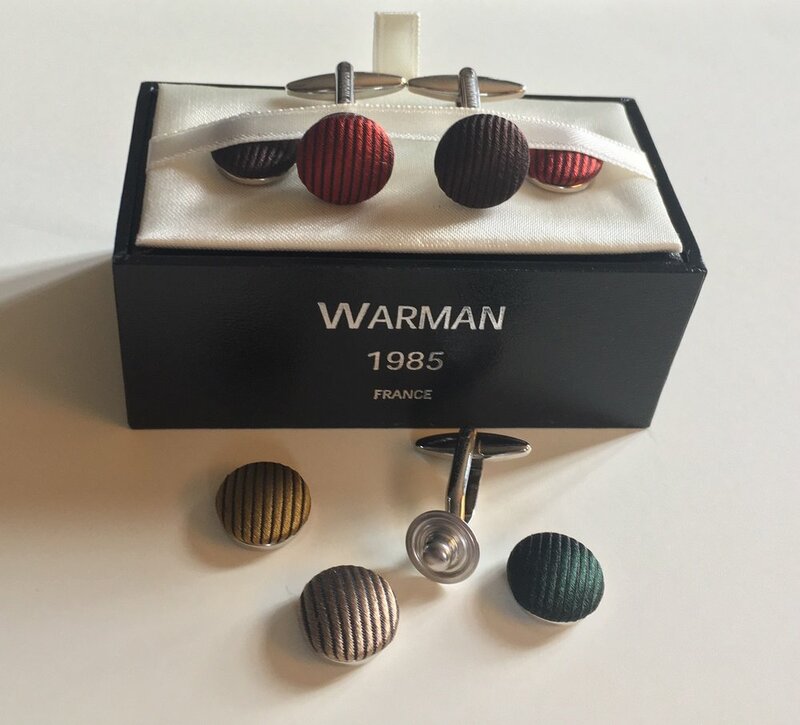 Warman is a small, family-run business that produces handcrafted cufflinks. Each patented model is created and assembled in the Brittany workshop near Saint Malo. The 5 collections: PIERRES, ®CAMELEONS, ®METAUX PRECIEUX, DEUX EN UN and ®CARRES (Stones, Chameleons, Precious Metals, Two-in-one and Squares) include innovative, precious cufflinks and button covers in Chalcedony, Topaz, Mother-of-pearl, Aventurine, Amber, Lapis Lazuli, Jade, Hematite, Blue Agate, Quartz, Turquoise, Mohave Turquoise, AB Crystal, Amethyst, Green agate, Red jasper, Brescia jasper, etc….